No risk matched betting USA – Our definitive matched betting guide will explain everything you need to know about this no risk betting technique and how you can start making money online today. What’s in this matched betting USA guide? Here’s a brief overview of what we’re going to look at in this matched betting guide. Feel free to jump to different sections using the links below. Is matched betting legal in the US? Which US states have legalised sports betting? Matched betting or double betting as it’s sometimes called is one of the most popular and profitable methods of making risk free cash online. A quick Google search for ‘best way to make money online’ reveals matched betting as one of the most popular results. As betting is now legal in the US, thanks to the abolishment of PASPA, many Americans are now considering no risk match betting as a viable way of making money online. 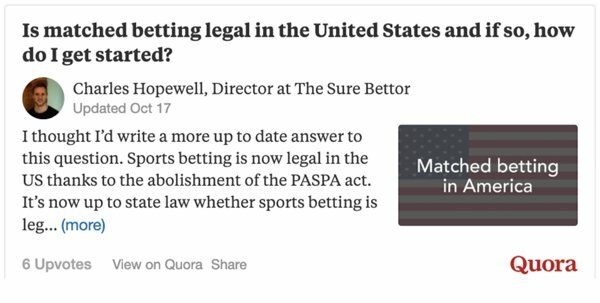 Check out my Quora answer to this popular question: Is matched betting legal in the United States and if so, how do I get started? If you clicked through to Quora, you can see how popular matched betting in the US has become in the last few months. There are thousands of Americans interested in making some extra cash online using no risk matched betting. So what’s all the rave about? What is no risk matched betting is one of the most frequent questions we get asked here at The Sure Bettor. So, for those of you who are new to this concept, here’s a little introduction. Matched betting is a way of making money online by taking advantage of bookmakers’ free bets and promotions. Due to the fierce levels of competition in the betting industry, gaining and keeping new customers is a serious challenge faced by all bookmakers. One way to entice customers is to offer them generous incentives. In the UK and Europe, the bookmakers offer a huge range of free bets and bonuses. This trend is starting to take off in the US as well. GTBets, a relatively new bookmaker, offer a combined 150% bonus on your first and second deposit. The bookmakers actually lose money offering these promotions in the knowledge they’ll gain a few customers who they’ll profit from in the long run. It’s not just new customers that benefit, the bookies also offer countless promotions each week for existing customers. This makes matched betting incredibly profitable. In the next section of our matched betting USA guide, we’ll look at how this method actually works. First off, matched betting is not gambling. There is no chance involved with this technique and it’s all based on a number of easy calculations (don’t worry we’ll come onto this later). You’re probably thinking ‘how can you make money betting? This can’t be true’. Matched bettors use a no risk betting technique called back and lay betting. This method involves placing two opposite bets on the same event, taking out any chance involved with normal gambling. You place one bet (the back bet) at a traditional bookmaker and the other one (the lay bet) at a betting exchange. An exchange is an online betting platform that allows you to bet against other punters rather than against the bookie. As you may have worked out, these bets cancel each other out (one bet wins and one loses). Therefore you end up where you started. The point of this is to trigger a bonus without risking any of your own money. Here’s the thing, the bookmakers don’t give out free bets to anyone. They always want something in return. This usually involves placing a bet or two before you gain access to your bonus. This is what matched bettors call a qualifying bet. Once the qualifying process is complete and you’ve triggered your bonus, you can make a guaranteed profit. By repeating the same process as above and using your bonus funds you can extract up to 80% of a free bet or bonus. As simple as that. By using our matched betting calculator, all the hard work and mathsy side of things are taken care of. The calculator also works out the exact amount to bet to ensure you maximise your profit from a bonus. Amongst other things, the tool also tells you the exact amount of profit you’ll make from an offer. Hopefully you’re still with me at this stage. However, an example never hurts. So here goes. The first step of any matched betting offer is to sign up to a bookmaker offering some kind of promotion or free bet. Keep in mind that some offers are easier than others so pick carefully when you get started. 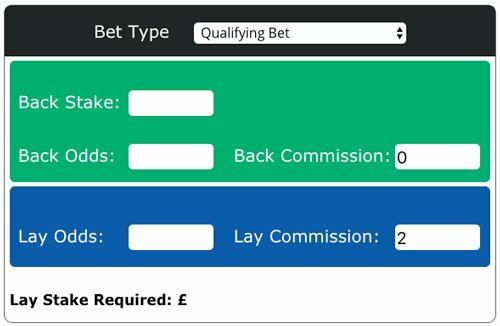 To complete any matched betting offer, you’ll also need a betting exchange account. This is where you’ll place your lay bets to make the entire process risk free. Betfair are really the only option for those of you in the US. The signup process is pretty self explanatory so I won’t go into any details here. Just keep an eye out for any specific terms and conditions regarding the qualifying criteria. The bookies have a habit of adding the most important information in the small print. The next step is to activate your free bet by placing a qualifying bet. Remember, your bonus won’t be triggered until you fulfil the qualifying criteria. If an offer was Bet $10, Get $30 you’d need to place a bet of $10. The next stage involves placing a back and lay bet to make the process risk free. Pro tip: Look for markets with back and lay odds that are close together. The closer the match, the more money you’ll make from an offer. Once you’ve found a market that meets the qualifying criteria, place your bets. As I mentioned above, you place the back bet at a bookmaker and the lay bet at a betting exchange. You’ll now have to wait for your bets to settle. Once that’s happened, you’ll have access to your free bet from which you can make a guaranteed profit. Before you move ahead with the next step, I always advise you ensure your free bet or bonus has been activated. It may take a couple of hours after your qualifying bet has settled. The process of using your free bet is very similar to the one above, except this time you’ll use a different setting on the matched betting calculator. Once you’re happy with the outcome, you can go ahead and place your bets. Wait for your bets to settle and you’ve completed your first matched betting offer. Well… there’s a bit more to it, but that should give you a simple idea of how the process works. 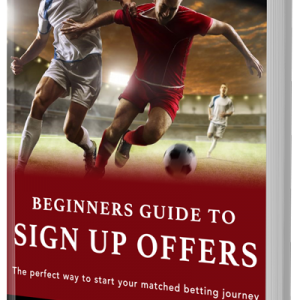 If you’d like some more information on how matched betting works why not check out our dummies guide. So now you know a little more, let’s look at whether no risk match betting is a viable way for Americans to make money online. You can learn about other low risk income streams, like matched betting, over at multiplestreams.org. First off, let’s look at the legality of matched betting in the US. Another popular question we get asked is whether matched betting is legal in the US. As of 14th May 2018, sports betting is now legal in the US! The Supreme Court concluded their ruling into sports betting on Monday 14th May 2018 by striking down the somewhat failed PASPA act of 1992 that banned all sports betting on a federal level. For individuals living in the USA, this now makes matched betting legal on a federal level at least. It’s now up to specific states to make up their own legislation regarding sports betting and in what form it takes. Be that online, at horse racing tracks, in casinos etc. In the wake of the decision, UK bookmaker values rose by over £1.5 billion! This is great news for matched betting USA and the betting industry as a whole. If you live in the US, you’ll be glad to know matched betting is just around the corner… You’ll soon be able make money online with no risk matched betting USA. Keen to get started? You can subscribe to hear all the latest news on US betting. Due to popular demand, we’ve put together a list of all the states in the US that have either already legalised sports betting or are just around the corner from doing so. Being one of the first states to legalise sports betting back in 1949, you’d expect Nevada to be on this list. Other states in the US are now looking to Nevada for best practices in terms of regulation etc. Until recently, Nevada held the top spot for sports betting revenues in the US. However, they were overtaken by New Jersey in January 2019. As of March 2019, there are currently limited offers available from the various sportsbooks making matched betting rather difficult. However, this will undoubtedly change in the near future. Verdict: Matched betting will soon be a viable way to make money in New Jersey. Being the state that originally campaigned for legal sports betting, New Jersey weren’t going to hold back for long. The first sports bets in New Jersey were taken at a William Hill shop on June 14 2018, just three days after Gov. Phil Murphy signed the bill legalising sports betting. From research, it seems New Jersey sportsbooks are offering better promotions than Nevada but their usability for matched betting is still somewhat restricted. However, similar to Nevada I doubt it will be long before offers become more lucrative. As I mentioned earlier, New Jersey overtook Nevada in terms of sports betting revenue in January 2019. They took $18.8 million in revenue. Verdict: New Jersey matched betting is just around the corner. As of March 2019, the current law only permits sports betting in physical locations. However, state officials are considering legislation that would allow for online sports betting in Delaware. When this has happened, matched betting in Delaware can really take off. Verdict: Online sports betting is not currently legal, so matched betting isn’t a viable option. A little later than the states mentioned above, Mississippi took their first sports bets through two casinos, Beau Rivage and Gold Strike in August 2018. Other casinos were quick to open their doors before the football season kicked off. Currently sports betting must take place in-person, however, there are plans to implement online and mobile betting in the near future. Verdict: Hold tight if you’re considering matched betting in Mississippi. West Virginia officially became the fifth state to legalise sports betting in the USA. Regulators in WV announced plans to ‘be up and running by football season,’ a goal they ultimately met. Hollywood Casino at Charles Town were the first to take legal sports bets. They were quickly followed by other casinos in the state. WV sportsbooks took nearly $3.4 million in wagers in the first three weeks after legalising sports betting, showing how lucrative this industry is set to be. However, there’s still no legislation around online sports betting. There is little doubt, however, online and mobile sports betting will come in time. That’s it for states that already have some kind of sports betting legislation in place. Next, let’s look at states that are just getting started. In October 2017, a new bill was signed that would legalise sports betting “by any system or method,” be that in person, online or on a mobile device. Now the PASPA act has been dissolved, the state can continue its plans to implement sports betting on a wider scale. 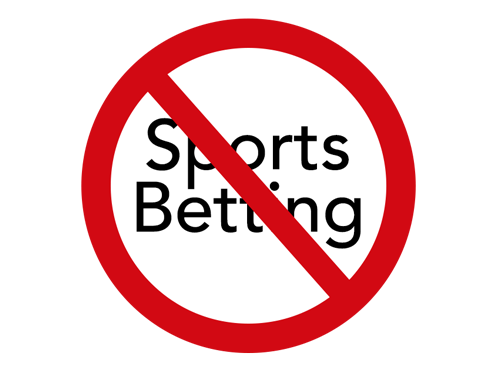 Currently there are no companies offering sports betting due to pending regulations. However, 2019 looks set to be the year online gambling takes off. New legislation is in the pipeline that would permit mobile betting through apps when bettors are located within the two casinos mentioned above. I doubt it will be long before this is brought into effect. The next stage will be to introduce remote registration. Individuals will be unwilling to travel just to place one or two bets. Verdict: Matched betting in Rhode Island is a little way off yet. Plans have somewhat stalled in New York. However, the Gambling Commission are likely to finalise the bill by the end of the year. Full-scale sports betting will have to wait another year as the legislation in June 2018 failed. Verdict: Similar to Rhode Island, Matched betting is still a little way off. Oregon were exempt from the PASPA act allowing them to run sports betting through their state lottery. Recently the lottery have launched a new mobile app which could pave the way for online sports betting in the near future. These changes are likely to happen in 2019, after the mid-term elections have been and gone. Verdict: Online betting is not legal meaning no matched betting opportunities. In 2018, Connecticut tried to get a bill over the line legalising online sports betting. However, this didn’t quite go through. It’s clear there’s an appetite for sports betting in Connecticut, however, it will have to wait until later in 2019 after discussions with casino owners fell through. Verdict: Hold tight if you’re looking to take advantage of matched betting in Connecticut. A lot of progress has been made since May 14 in 2018, with a number of states quick to open the door on sports betting in the USA. It seems that some US states are waiting for others to test the water before they dive in themselves. However, I doubt it will be long before more states jump on the train. There’s too much to lose if they don’t. There are plenty of other states in the process of legalising sports betting and you can be sure we’ll update the list above as and when it happens so you can take full advantage. Overall, this is great news for individuals looking to profit from no risk matched betting USA. Stay tuned for the latest news on this story. You can read the original post (published before PASPA was struck down) below or check out our matched betting blog for more information. Could no risk matched betting USA soon be a possibility? With the ongoing ruling into sports betting in the USA, the laws may soon be changed. Currently, no risk matched betting USA is somewhat limited thanks to strict US laws governing sports betting as a whole. Whilst each state in the USA has their own laws regarding betting activity, the general consensus is that betting in the US is not possible. Matched betting is certainly one of the most profitable ways to spend your free time, so the more people that can benefit from this brilliant no risk betting technique, the better. Before we look into whether matched betting in the USA is a viable way for Americans to make money online in 2018, we first need to look at the specific laws around gambling and betting in the United States. It’s not as flexible as you may think. The gambling industry in Europe and specifically the United Kingdom is far more liberal than it is in other places around the world. This makes matched betting in Europe very feasible. Look at gambling in the UK and contrast it to America. There’s no resemblance. It’s fair to say, the USA is a strange place when it comes to federal laws. You’re allowed to keep as many guns as you fancy, yet you can’t drink until you’re 21 and un-restricted sports betting is illegal in all but one state. Seems a little mixed up if you ask me! America is incredibly strict when it comes to gambling. It’s not quite how the Hangover movies make it out to be! The specific laws vary between different US states, however, there are a number of federal laws that affect most of the 50 states. Whenever someone mentions gambling in America, people often picture the Las Vegas Strip and the countless casinos and hotels that fill the sky. Whilst not every street in America looks quite like this, casinos are as common in America as betting shops are on the UK high streets. They exist in nearly all 50 states, making it an incredibly popular choice for American punters. On average each punter loses $400 a year allowing the Casinos to make roughly $125 billion in annual revenue. Sports betting in the USA is somewhat different to casino gambling. Visit most streets in America and you won’t find a single high street bookie, unless you’re in Nevada. No high street matched betting for US citizens then. This seems strange when you consider how liberal the rules are when it comes to Casino gambling. Observers have estimated that US punters wager somewhere in the region of $150 billion each year on sporting events. However, federal law states that sports betting is illegal in America. A lot of this betting is therefore underground and conducted by criminal organisations. In 2017, Nevada sportsbooks took nearly $5 billion in wagers. Should sports betting be legalised in all 50 states the market value could rise to nearly $14 billion. Why is sports betting legal in Nevada? Nevada legalised sports betting in 1949 and were exempt from the PASPA act of 1992 – the act that banned all US betting on sporting events on a federal level. The PASPA act, signed by George Bush, only stopped new states from legalising sports betting. Nevada were one of four states that already had sports betting laws in place – Oregon, Delaware and Montana being the other three. However, Nevada were the only state that legalised all sports betting before the act – hence it’s the only state in the USA where single-game sports betting is legal. This is where many of the problems in the American gambling industry come to the forefront. There are no specific federal laws against online gambling, however, it’s easy to run afoul of state laws. Therefore, thousands of Americans place illegal bets on a regular basis. Without any specific laws, it’s hard to govern and prosecute anyone in the wrong. No one has ever been arrested or charged in any way for gambling online and I’d be surprised if they ever do. It is, however, illegal for websites to accept sports bets online. For that reason there are no online sports betting firms operating from within the US. All online bookies that conduct this illegal betting are based off-shore, in locations it’s legal for them to operate, a similar pattern to what happens here in the UK but for different reasons – tax avoidance. On the other hand, as confusing as it may be, it’s not illegal for US citizens to place sports bets online. Now, to me that doesn’t make any sense and as you can see, betting in the US is all over the place. It’s still illegal for these off-shore betting firms to take wagers from American punters. However, the Federal Government aren’t interested or can’t prosecute anyone. You’ll probably agree, the gambling and betting laws in America are a complete mess. No one knows exactly where the boundaries are, which leads to abuse by bookies and punters alike. The rules need to be crystal clear so bookies and bettors know exactly what they can and can’t do. As the laws in America are somewhat confusing, punters and betting companies can take advantage of loopholes that have been left open. This obviously leads to a great deal of illegal betting in the United States. If these figures are accurate, this makes sports betting the most popular form of gambling in the US. Though admittedly, most of it is illegal. Silver is one of many involved in the sporting industry backing a change in law and ultimately legalising sports betting. For many years, professional sporting leagues have opposed legalising sports betting, however, they are now implementing procedures to facilitate such changes. As we mentioned above, The Professional and Amateur Sports Protection Act (PASPA), was signed in 1992 and banned all betting on sporting events. It was designed to be in place for 25 years. Yet, this ban may soon be overturned by the US Supreme Court. For a while now, thousands of US citizens have urged congress to re-consider the PASPA ban. They hope to make sports betting legal on a federal level. Supporters believe it will put an end to illegal sports betting and the shady companies running these platforms. Currently the US Supreme Court is hearing arguments from both sides, with a potential ruling that may overturn the PASPA act of 1992 expected by July 2018. Furthermore, 17 states have already put plans in place should the Supreme Court rule in their favour and legalise sports betting. 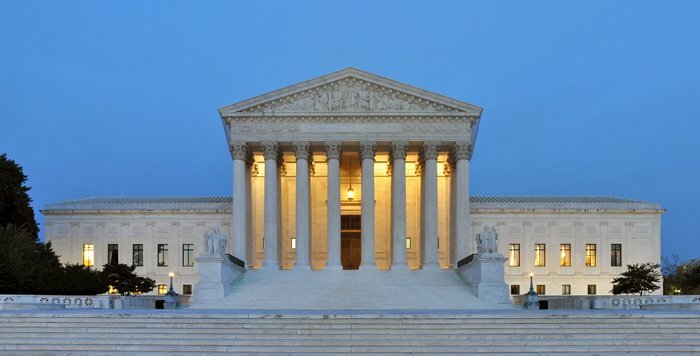 From researching into this article, it seems a large number of news outlets and media sources are expecting the US Supreme Court to overturn the ban on sports betting. This will have a huge impact on no risk matched betting and the US betting industry as a whole. Betting firms will now be able operate legally, bringing more taxable earnings into the country and boosting the global economy. This will also bring a considerably higher annual revenue into the American gambling sector which is potentially worth a staggering $14 billion a year. When and if the US Supreme Court overturn the 1992 PASPA ban, there will be a huge flurry in terms of operators offering sports betting. All the major bookies will be after a piece of the American betting sector and we’ll likely see Casino-focussed brands diversifying into the sports betting sector as well. It will be essential for bookies to increase their marketing and promotional activities to gain new customers, similar to what we see in the UK. Currently, in true American fashion, showing advertisements for online gambling sites isn’t strictly illegal. Although, if the PASPA ban is overturned, this could all change. It won’t just be states in the USA that feel the impacts of a change in law. It will be world wide. In the case of a favourable ruling, Leppo expects Asia to follow suit in the next decade or so. As always, you can never please everyone. There are many people fighting against legalising sports betting in the United States. This view is specifically coming from anti-gambling campaigners and organisations around the world. Gambling can be an addictive habit which can lead some people into financial difficulty and sometimes more serious problems. Problem gambling is a massive global issue that many organisations are fighting. Having said that, the number of problem gamblers resulting from sports betting is typically not that high. Then again, that’s based on UK figures. It could potentially be different in the US. The Supreme Court will have a tricky call to make. On one side you’ve got anti-gambling campaigners arguing that legalising sports betting will lead to more problem gamblers and on the other side you’ve got people trying to cease criminal betting and organisations. Whatever the outcome, it will have huge implications across the world. No risk matched betting USA – Which bookies can you use? It’s technically against federal law for bookies to accept bets over the Internet, however, it’s very unlikely you’ll be prosecuted. Having said that, I’ll leave the ultimate decision with you. It’s worth noting there’s different age restrictions for gambling in the US, depending on which sate you’re in. You’ll need to be at least 18 or 21 to participate in matched betting USA. Make sure you double check the specific restrictions before you open any new betting accounts. If you’re unsure about anything, get in touch with the bookie in question. They should be able to help you out. All of these bookmakers offer different sign up promotions that are worth completing. As we’ve already mentioned, there are no betting companies operating in the US. Sadly, that’s the same for betting exchanges in the US. As we use a betting exchange to make our bets risk free, this makes matched betting in the USA somewhat difficult. There’s another method you can use – dutch betting or dutching as it’s sometimes shortened to. Instead of placing a lay bet at a betting exchange, we use two bookmakers and play them against each other. Simply enter the odds into a dutching calculator and just like a normal matched bet, the calculator will advise you on how much to place at each bookmaker. This way, you can cancel out any risk and unlock your free bet without using a betting exchange. All in all, I suggest you wait for the Supreme Court ruling and then make your decision on whether you should start matched betting in the US. Once the Supreme Court has made their ruling and your state has legalised sport betting (yes, I’m very confident) you’re all set to learn matched betting and start making money online in 2018. We walk you through the whole process, leaving no stone unturned. We provide the latest tools and software to increase the profitability of your matched betting. Our team upload the latest matched betting offers to the website so you don’t have to search for them. We offer a brilliant support network where all of your questions will get answered. Whether you’re completely new to betting or you’re a seasoned professional, you’ll be making money with this no risk betting technique in no time. So, does matched betting work in the US? As you’ve probably understood, matched betting in the United States is currently very limited. However, if the Supreme Court do overturn the PASPA act (which I’m very confident they will) then things are likely to change significantly. In this scenario, the bookies will spend a huge amount of money incentivising new customers. This means Americans will be able to profit from no risk matched betting, just like we do in the UK and abroad. It’s exciting for us matched bettors. If sports betting is made legal across the whole country, no risk match betting may be branching out in to America! So, in the meantime, I suggest you guys in America will have to hold fire in terms of matched betting. However, it seems a sure bet that the laws will be changing when the Supreme Court makes their ruling around July 2018. You’ll then be able to make a risk free profit online. For UK matched bettors travelling to the United States, check out our article on matched betting abroad. That’s it for today’s matched betting guide, let me know what you think in the comments below. Just starting my matched betting education and I found the information quite good in this article. But am wondering when there might some sort of “current status” type update concerning if anything has progressed with these matters in the USA. Hi there, glad you found the content useful. I’m going to be adding a big update to this article in the near future with more up to date information on betting in the US. I live in NJ and also still have access to my betting sites at home.. including betfair and smarkets . Is there a way to calculate the free bet taking in the UK/US currency exchange… and still profit? Are you trying to take advantage of UK or US bookmaker promotions? Our calculator does not have a currency exchange feature so you’ll have to calculate the exchange yourself. You’ll probably lose a small percentage when you convert the currency. Thank you, glad you’re enjoying it. my experience is that I do not qualify for matched betting in the UK. your explanation help me to understand why – – appreciated. I am waiting for the US state governments to get greedy enough to allow online gambling. then we can get it on! keep me in your list for membership when the event finally occurs. Hi Ron, thanks for getting in touch. That’s great news – I doubt it will be long before online gambling will become legal in more states. There’s too much for state governments to miss out on. I’ll keep you updated.